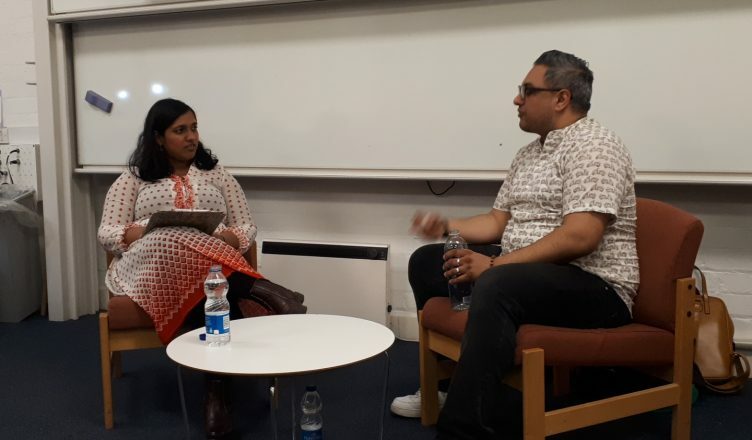 Last month highly acclaimed writer Nikesh Shukla addressed an audience at De Montfort University Leicester as part of their annual student-led Cultural Exchanges festival (27 February 2019). Held in association with The Asian Writer, the evening led by fellow writer Mahsuda Snaith (author of The Things We Thought We Knew) saw Nikesh discuss writing, rapping, fatherhood and his journey to improve the lack of diversity within the publishing industry. This was my first time attending such an event so while I wasn’t completely sure what to expect I did have expectations. The evening opened with a brief introduction: Award-winning writer and self-described ‘average’ rapper Nikesh Shukla is a prolific writer of novels, short stories, scripts and columns and is one of the most influential literary voices today. After this Nikesh discussed his writing journey, approach to writing, screen writing, working across forms, admin duties and the reality of a working writer’s life. Ironically, as a writer what Nikesh spends the most time on isn’t writing rather it’s travelling on trains. Nikesh discussed the struggles of many writers including making a primary living off their books. I found his talk revelatory and illuminating and really started thinking about the lesser known aspects of a writer’s life. Nikesh’s aspirations for writing stemmed from his love of comic-books. He started writing Spiderman stories and his passion for writing really kicked off from there. 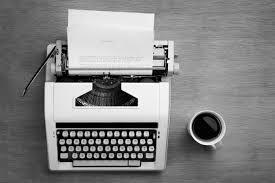 He mentioned the way in which he approaches his writing projects. The way he does this doesn’t change. He studies people. This allows him to really delve into a character and their response to things. He asserts that characters are key and from this it’s clear that Nikesh cares about his characters and their authenticity. This led me to reflect on the effective use of characters – they not only push forward the plot but they serve as the driving force into stories as well. The rapport between Mahsuda and Nikesh really showed through their easygoing, lively and at times humorous conversation. I felt this really brought out the discussion as a whole. The way the audience was involved often laughing at their remarks further highlighted this. I felt rather than as an audience member watching them discuss things I too was a part of their conversation. I thought the most notable part of the event was Nikesh’s thoughts on his most proud moment to date. The Good Immigrant allowed BAME writers a platform to voice their thoughts on race and immigration. The success of it led to follow up project opportunities namely The Good Journal. The conversations helped to spur further conversations about representation in not only books but on screen as well. Nikesh mentioned that there is a change in the publishing industry and hopes this change stays. Nikesh came across as especially engaged in the Q&A. Nikesh hinted at a novel he is working on at the moment. He didn’t reveal much saying that he is only 8,000 words in and that it is about two brown people in love which readers don’t really get to read about much. He said it was nice to write something joyous for a change. Overall, the event exceeded my expectations. I really enjoyed myself. I found the talk to be revelatory, illuminating and inspiring. I’m looking forward to Nikesh’s future works and seeing where the continuation of his journey takes him. Jaskirat Kaur is an English student in her second year of studies at the University of Leicester. Having gained valuable experience from her placement at Dahlia Books she hopes to use the experience and skills gained to further her career development. On completion of her studies she plans to enter the publishing industry.